Kentucky Baptists have a “Great Commission” opportunity at the 2014 Kentucky Baptist Convention Annual Meeting on November 11. Bring a bucket of hope to the annual meeting. This will help us to push towards the finish line of our 2014 goal of collecting 5,000 hospice care buckets. These will offer compassion to people in Sub-Sahara Africa, who are suffering from HIV/AIDS. 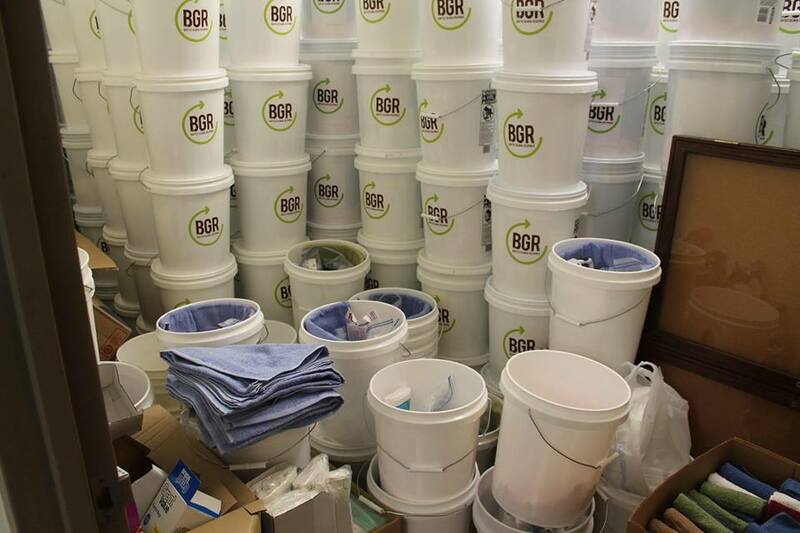 We have set a goal of collecting 800 BGR Hospice Buckets at the annual meeting in Bowling Green. Would you do your part by bringing a bucket, as we gather at Living Hope Baptist Church in Bowling Green? Baptist Global Response (BGR) has learned that sharing a five-gallon bucket of care is a very effective way to demonstrate the love of Christ and to open doors for the Gospel with the sick and dying. Sub-Sahara Africa has more cases of HIV/AIDS than any other region in the world. Over 1 million will die of AIDS in Africa this year. Many of these people are facing death and eternity without the hope of Jesus Christ. • Visit the BGR Bucket project page here. This page gives you the project item list, packing tips, training video, planning information, and promotional ideas. Please note that participants MUST NOT deviate from the instructions. Not adhering to the guidelines will jeopardize shipping and distribution of the buckets. • Carefully pack your bucket as instructed on the training video. • Drop off buckets at a designated collection site. Click here for a complete list of Kentucky collection points. skin. Please leave bars in individual boxes. gloves. (Found in the First Aid/Bandage aisle). jelly or 2 – 7.5 oz. tube. 2 SOFT bristle adult size toothbrushes. 1 large tube of FLUORIDE toothpaste. body lotion. NO PUMP bottles. packet that contains 2 pads. 4 THIN washcloths, bright colors preferred. may be washed easily and dry quickly. in the bucket. Bright colors preferred. or higher, bright colors preferred. 1 TWIN SIZE fitted vinyl mattress protector. 1 box of Ziploc gallon size freezer bags.